Garage doors are essential entry points to your home. Not only are they entry points, they are visible exteriors as well. Their large size, coupled with their heavy components make them difficult to handle. With years of experience in dealing with clients Trust Garage Door understands that utility, security and aesthetics are all essential while choosing a custom garage door. Garage doors need to be handled every day and hence it is essential that they suit the client’s preference and their likings. 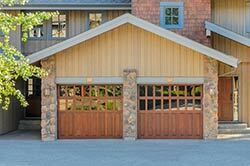 People spend huge chunks of money to make their dream garage doors a reality. Trust Garage Door wants to make this dream come true at a lesser price. We offer our clients with great choices, superb quality of raw materials and the necessary technical and aesthetic experience through skilled individuals to make the perfect garage door you are looking for. 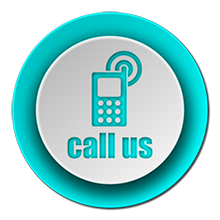 What makes our offerings even more attractive is that we offer these services at cost-effective rates. Our clients are often spoilt for choice with the materials that we have for them to make a choice from; fiberglass, timbre, vinyl and top polish steel. Our artisans are skilled and trained to make the idea of the perfect garage door a reality for you. Crafting artistic and functional doors is a skill our garage door experts have worked hard for. Our craftsmen sit down with our clients, take their ideas as their base for door sketches, add more aesthetic appeal to them, sprinkle the necessary technical ingredients to make our client’s ideas into reality. We can make any door! Starting from a sectional garage door, to a wooden garage door, a carriage house door to a classic swing style door, you name it and we make it. We also make doors that are totally tailored to the client’s ideas and needs, maybe something that has never been in the market. Our customer is our king and we make sure they are happy with the design and art work. But, while we do take care of them we also take care of their safety, reliability, elegance, sturdiness and functionality, the technicalities they would not be aware of. 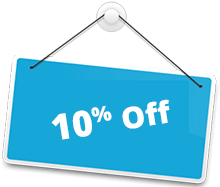 Our service is exceptional and the rates are budget-friendly. We offer end-to-end solutions for all garage door related issues, starting from repairs, maintenance and installation. We owe our excellence in services to our highly-skilled team making our services par excellence. Call us in if you want a complete makeover or want absolute customization for your garage doors in Nashville, TN area.